Chocolate Desserts for the win! There’s nothing better than an amazing (and easy) Chocolate Dessert Recipe. 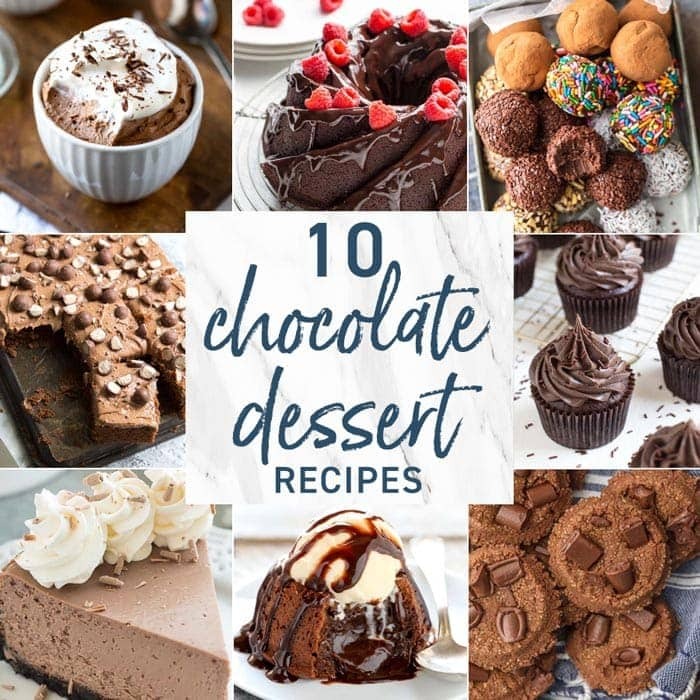 We have covered all the bases with our 10 favorite Chocolate Recipes, perfect for satisfying that sweet tooth. These Chocolate Desserts are made in minutes and ready to please! Hello fellow chocoholic! It’s Maryanne from The Little Epicurean. Today we’re exploring all things chocolate. Here are 10 chocolate dessert recipes you can enjoy all year long. 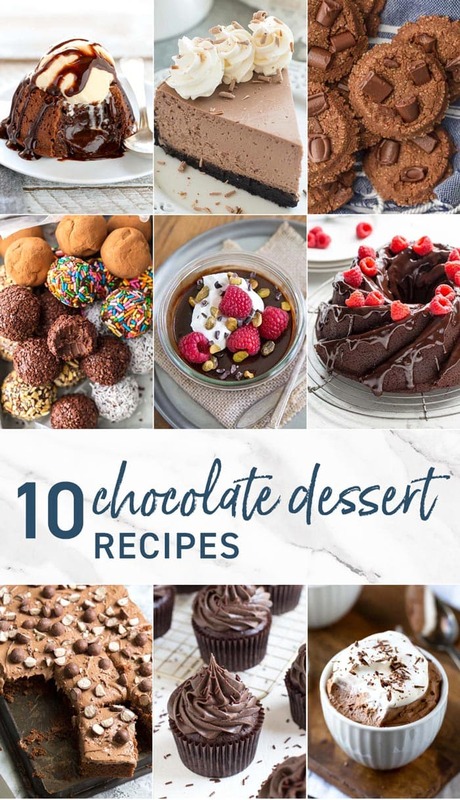 From cookies to sheet cakes and cheesecakes to mousses, I hope you’ll find a chocolate recipe here to satisfy your sweet tooth! 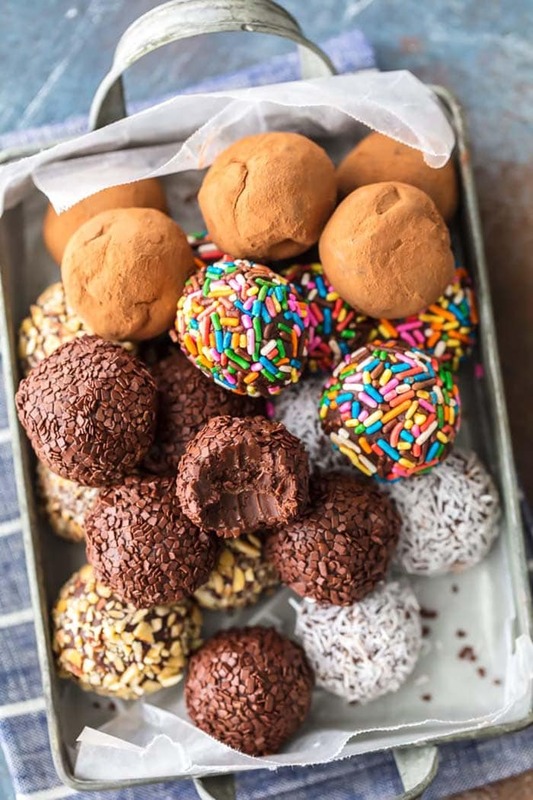 Chocolate Truffles | The Cookie Rookie It simply takes 5 ingredients and just a little patience (cooling time) to make these homemade chocolate truffles. 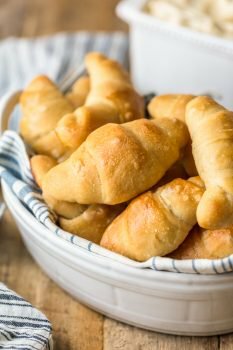 You can rolls these bite sized little treats in a variety of different toppings. 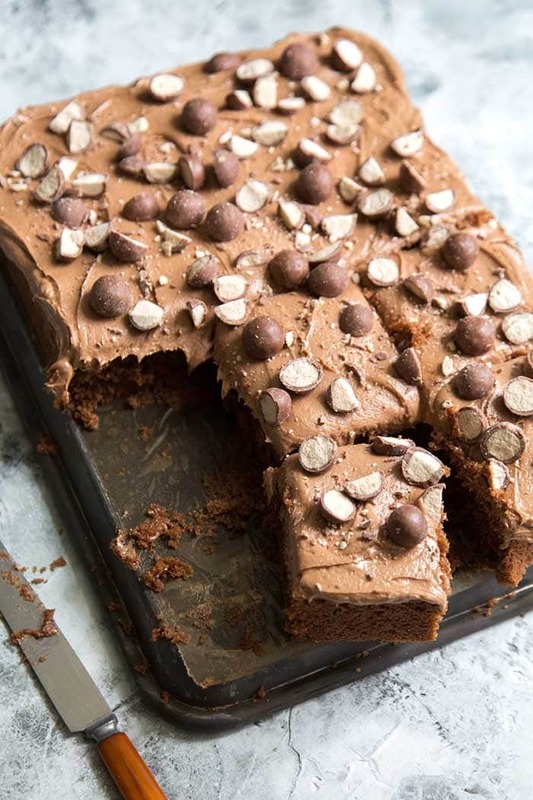 Chocolate Malt Sheet Cake | The Little Epicurean This easy to make chocolate malt cake is egg-free! It is frosted with a simple chocolate malt buttercream and topped with chopped Whoppers milk chocolate balls. 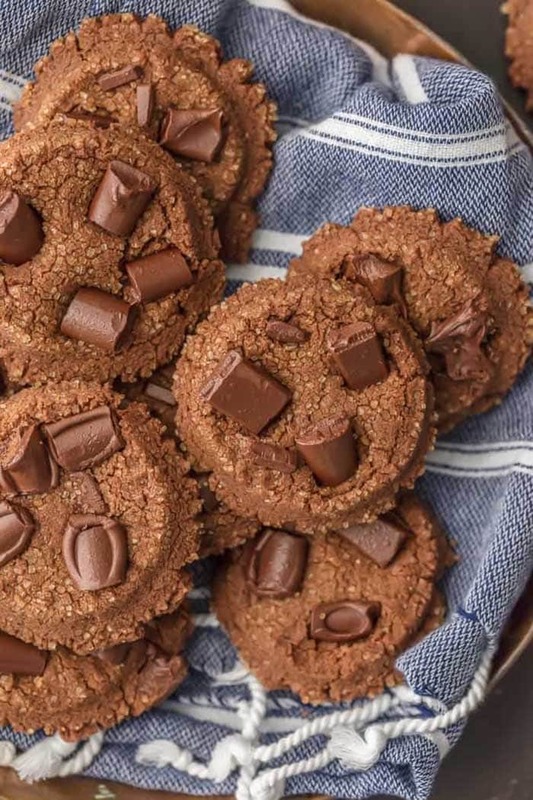 Double Chocolate Sugar Cookies | The Cookie Rookie These extra fluffy chocolate sugar cookies are studded with milk chocolate chunks and rolled in turbinado sugar. What a treat! 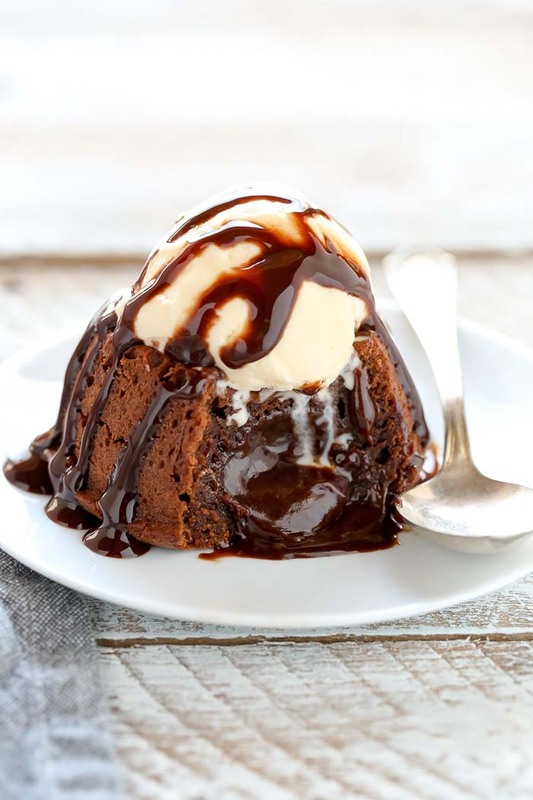 Molten Chocolate Lava Cake for Two | Live Well Bake Often Molten chocolate lava cake is the ultimate chocolate dessert. Nothing beats that first bite when all the melted chocolate oozes out! Earl Grey Infused Chocolate Tartine | Oh How Civilized Let’s enjoy chocolate like the French! 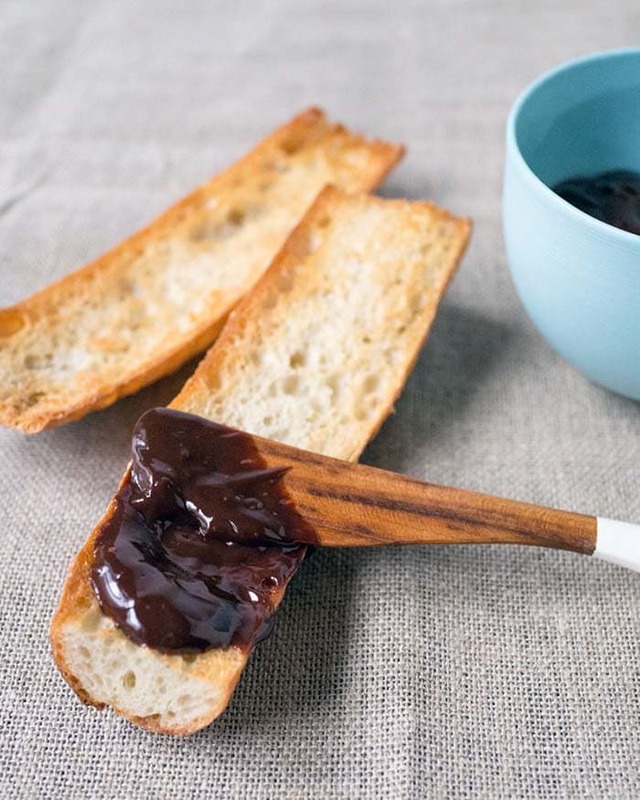 Spread Earl Grey infused chocolate over a toasted baguette for a simply elegant and decadent experience! 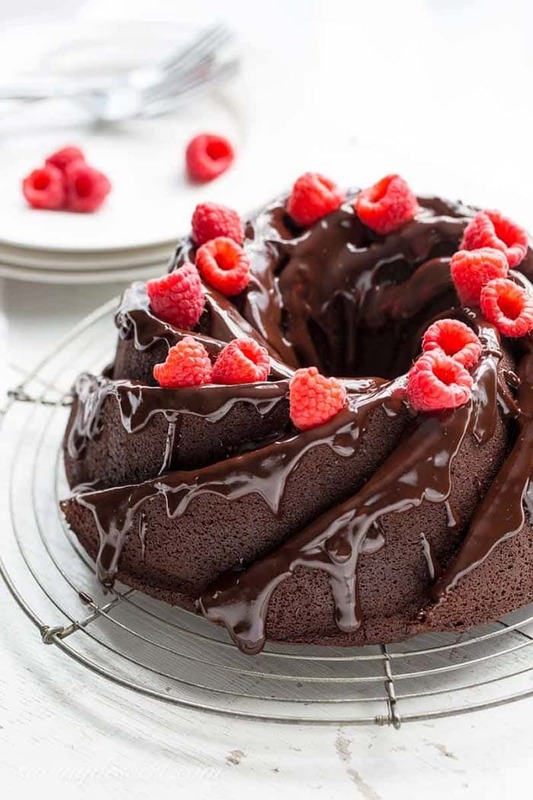 Chocolate Bundt Cake | Saving Room for Dessert It’s rich and moist and perfect for sharing! Whether you top your chocolate bundt cake with a simple glaze, a dusting for powdered sugar, or a drizzle of melted chocolate, you know it’ll be delicious. 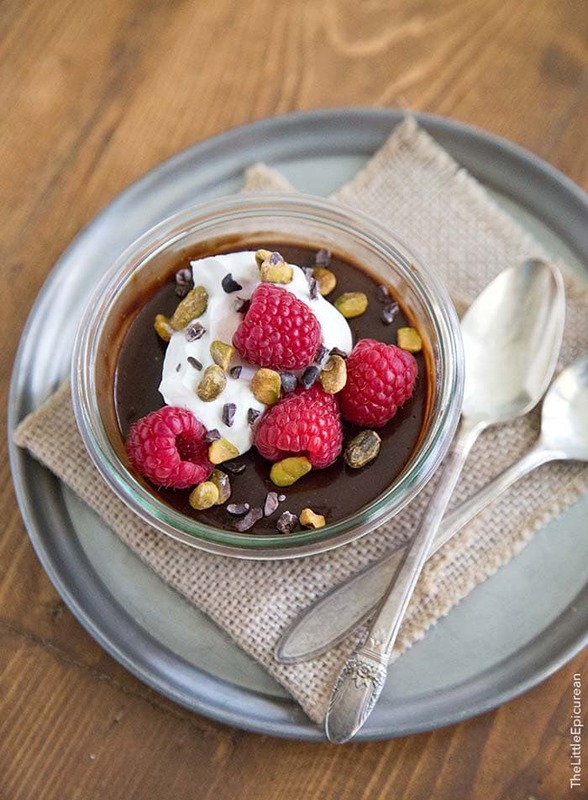 Chocolate Pots de Creme | The Little Epicurean Pots de creme sounds fancy, but it’s simply a French custard dessert served in little “pots” or cups. Think of it as an upscale chocolate pudding! 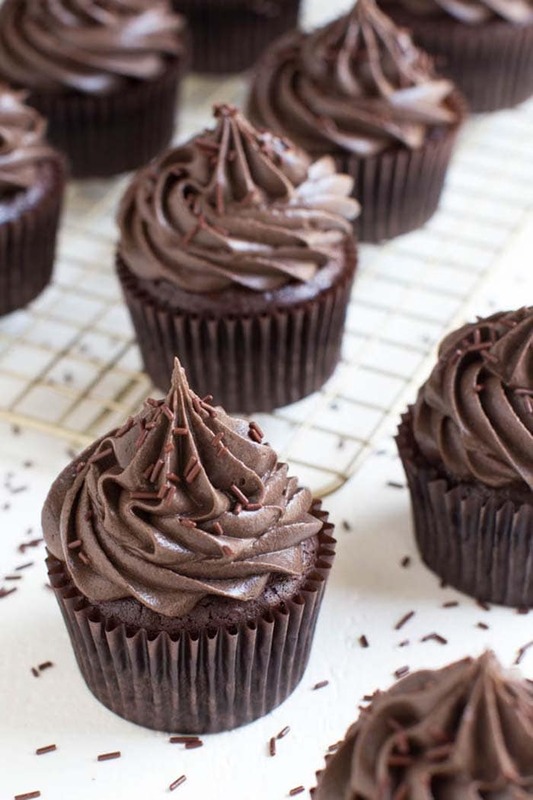 Flourless Mexican Chocolate Cupcakes | Spoonful of Flavor These gluten-free Mexican chocolate cupcakes are frosted with chocolate cream cheese. 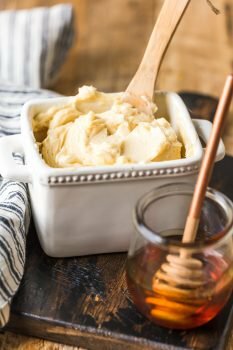 There’s a touch of cayenne pepper for that extra kick of heat! 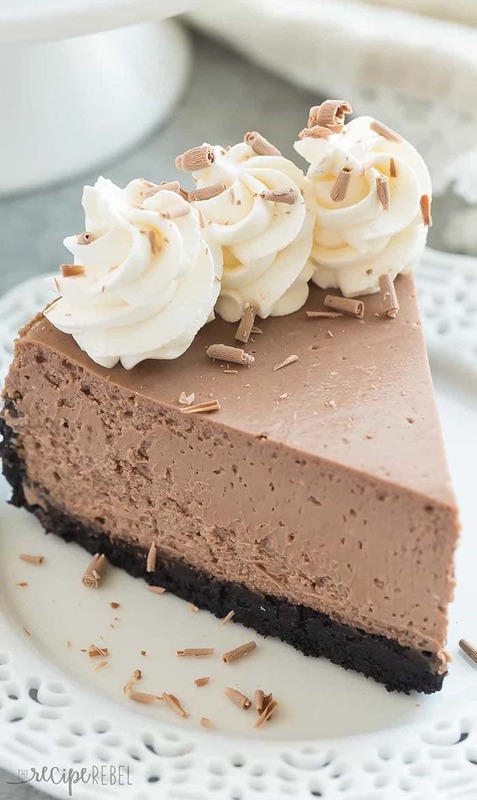 Chocolate Cheesecake | The Recipe Rebel Chocolate cookie base, silky chocolate cheesecake filling, and more shaved chocolate on top. Best of all, this cheesecake recipe does not require the use of a water bath during baking! 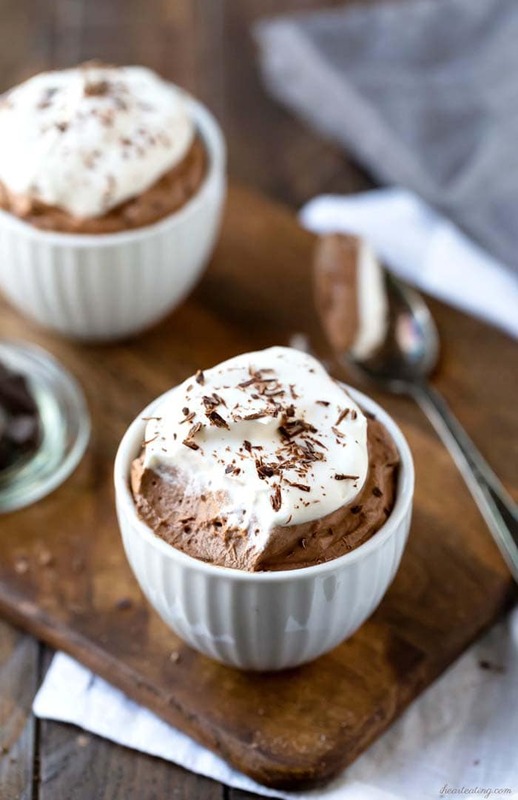 Chocolate Mousse | I Heart Eating Chocolate mousse is a quick and easy dessert you can whip up in minutes whenever the chocolate cravings strike. The addition of melted marshmallows in the batter adds a nice sweet fluffy touch!